Last week the Stewardship and Yuba Expeditions hosted Fox Factory, Shimano and Pivot Cycles, bringing an entire fleet of Shuttle electric mountain bikes to Downieville. The goal was to go on a couple big rides, better understanding ebikes and how they can fit into the Lost Sierra multi-use trails picture. 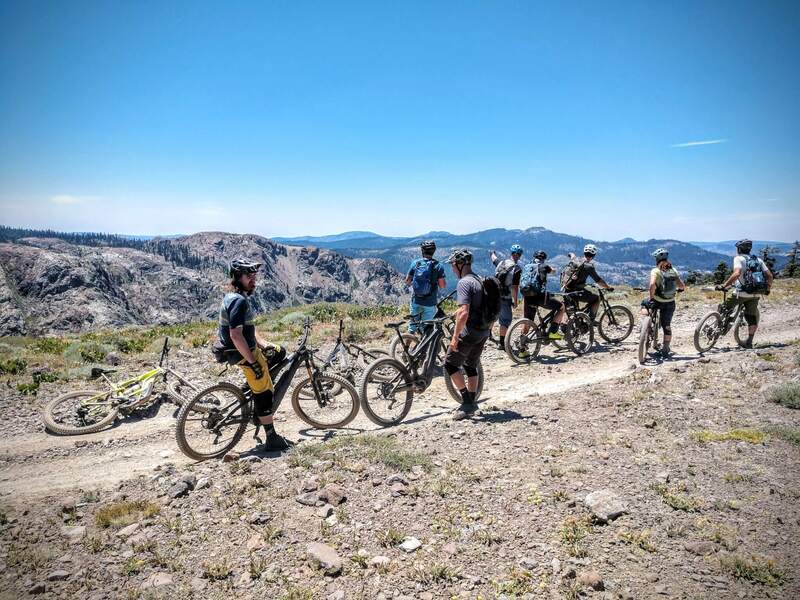 Because many trails in the Downieville region are motorized legal, unlike other mountain bike destinations like Moab that have “no ebikes” signs everywhere, the Lost Sierra does not have any conflicts or restrictions on ebike use. In fact, the added electric assist of an ebike makes more terrain more accessible to more people, and in this case, more is definitely better. The first day of our ebike experience was a true test of just how capable the Shimano STePS E8000 electric drive system on the Pivot Shuttle was. 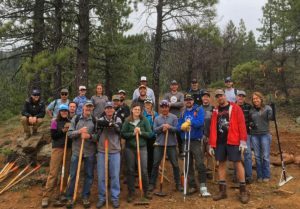 A group of 15 riders pedaled from town up 4,000 vertical feet on Craycroft Ridge trail to Chimney Rock trail, then return to town via Empire Creek trail and First Divide trail. 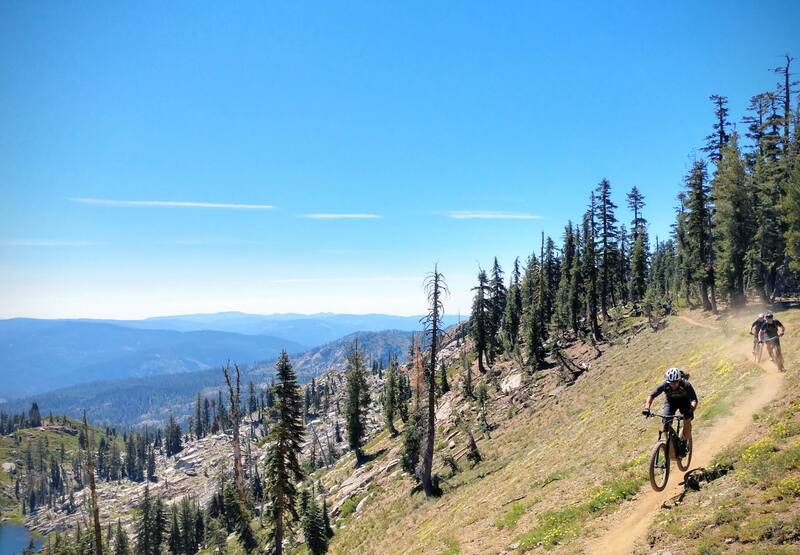 On a traditional mountain bike, this type of ride would crush most people as the fitness requirement is very high. But on our ebike ride we had a wide range of skill and fitness that wouldn’t have been possible on mountain bikes. Joining us on the ride was Paul Hart of the U.S. Forest Service, who heads up trails programs in the Tahoe National Forest – Yuba Ranger District, and his trail crew boss Rod, both of who can count the number of mountain bike rides they’ve done in their life on one hand. 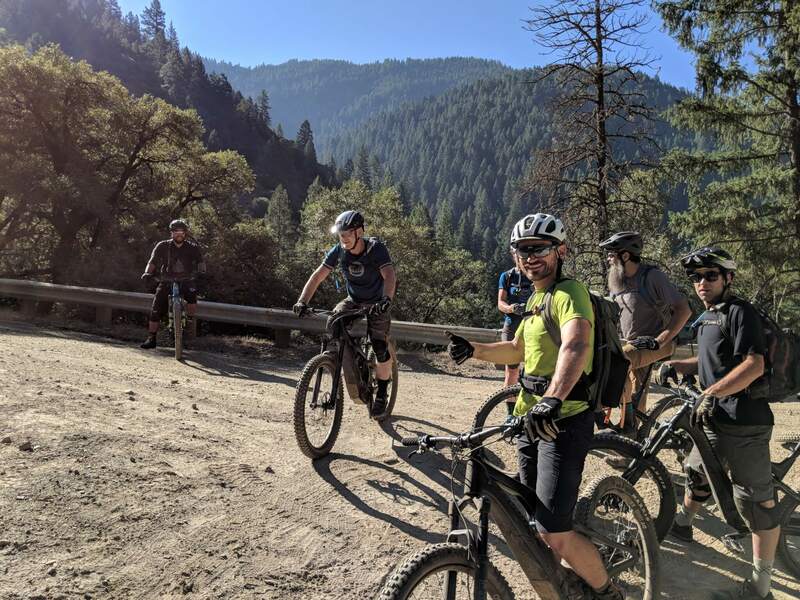 Having Paul and Rod on the ride was important, because when land managers experience new devices like ebikes, they are better educated when making use policies on public lands. Pedaling up a 17-mile climb with such a wide range of fitness and experience while maintaining a conversational pace the whole way was a revelation to all of us. Electric assist levels the playing field, making for a much more social riding experience. 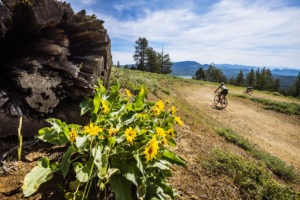 And although a few riders ran out of battery and had to turn back before reaching Chimney Rock, 12 of the 15 riders made it, including Paul Hart. 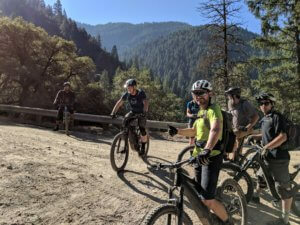 The return ride to Downieville on Empire Creek trail provided big grins, with everyone making it back to town with barely any battery life left. The ride ended up being 30 miles with about 4,200 feet of climbing, a route that definitely pushed the capability limits of the Shimano battery system. 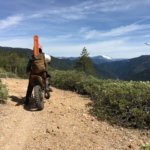 Those who weighed less than 175 pounds and used the lowest amount of assist (ECO) still had battery life left, while those who weighed more than 190 pounds or used too much moderate assist (TRAIL) ran out before reaching town or ran out just as we pulled into the Yuba Expeditions parking lot. All of us had a great time, and most impressively, nobody hit their physical limit. The next day we decided to take a Yuba Expeditions shuttle to Packer Saddle, enabling us to maximize the range of the Pivot ebike. There were ten riders on the 30-mile route that started with the new Gold Valley Rim trail, heading north to Summit Lake and Oakland Pond trail, out to Four Hills Mine, then descending to the A-Tree where we returned to Downieville on Lavezzola Creek trail. Not only did all of us finish with plenty of battery life, but we were all blown away at how fun the ride was. 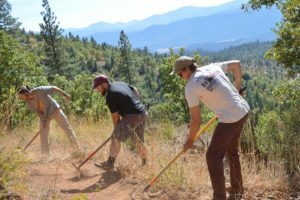 In fact, SBTS executive director and founder of Yuba Expeditions, Greg Williams, summed up what many of us were thinking as we rolled back into Downieville. I have to agree with Greg, the ride was truly all-time. From start to finish, our second day on the e-bike was so much fun that I’m already dreaming about doing it again. The social aspect is huge; everybody finished this 30 mile ride fresh with a big smile. 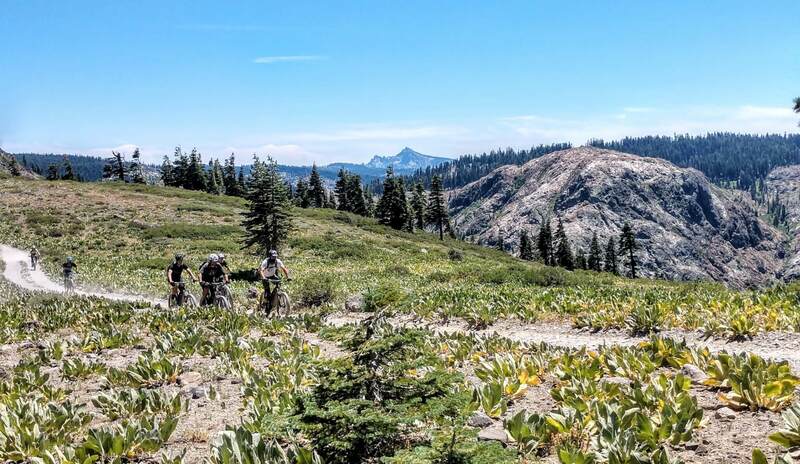 We got to see remote parts of the Lost Sierra that most mountain bikers are physically unable to experience. We raced each other without wasting massive amounts of energy. We cheered each other on, seeing who could climb the steep rock face on Gold Valley Rim that’s not possible on a mountain bike. But there were a few bigger revelations made during this all-time ride. We rode Oakland Pond trail, an abandoned alignment of the Pacific Crest Trail that is now a viable alternate route for mountain bikes. Although very steep and technical, a gut punch on mountain bikes, on an ebike the trail is suddenly fun and enjoyable. 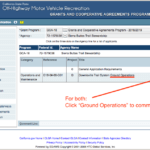 Upon reaching the top of Oakland Pond trail, we realized ebikes will reduce illegal mountain bike use on the PCT. 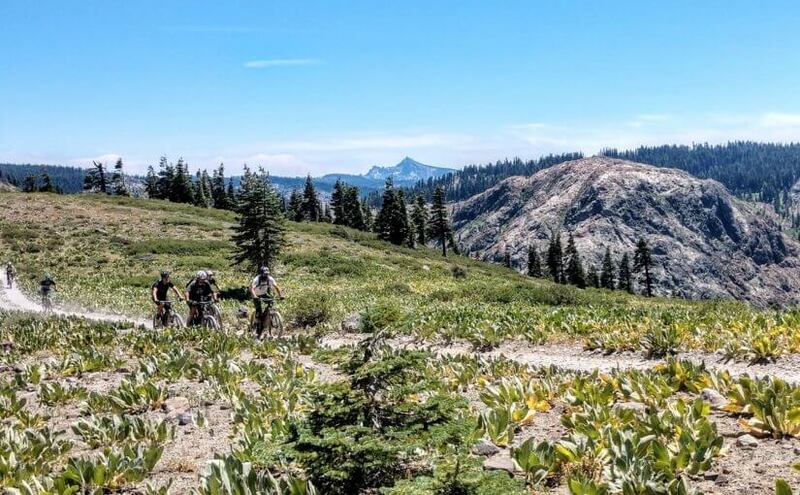 The main reason why mountain bikes trespass on the PCT in the first place is because the gradient is perfect for bicycles, bypassing other trails that are much steeper and difficult to ride. With electric assist, steeper trails like Oakland Pond become more fun to ride. Another revelation was made on Lavezzola Creek trail when a group of dirt bikers passed us. 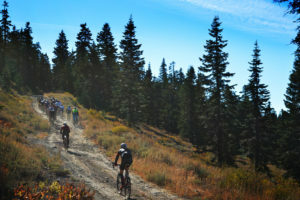 Each of the riders looked exhausted and worn out piloting a 250 pound machine, wearing a ton of protective gear; probably as exhausted and worn out as we would have been had we taken mountain bikes on the ride. But because we were wearing lightweight and breathable mountain bike clothing, piloting a power-assisted bike that only weighs 46 pounds, all of us were still fresh even after 30 miles of very technical riding. 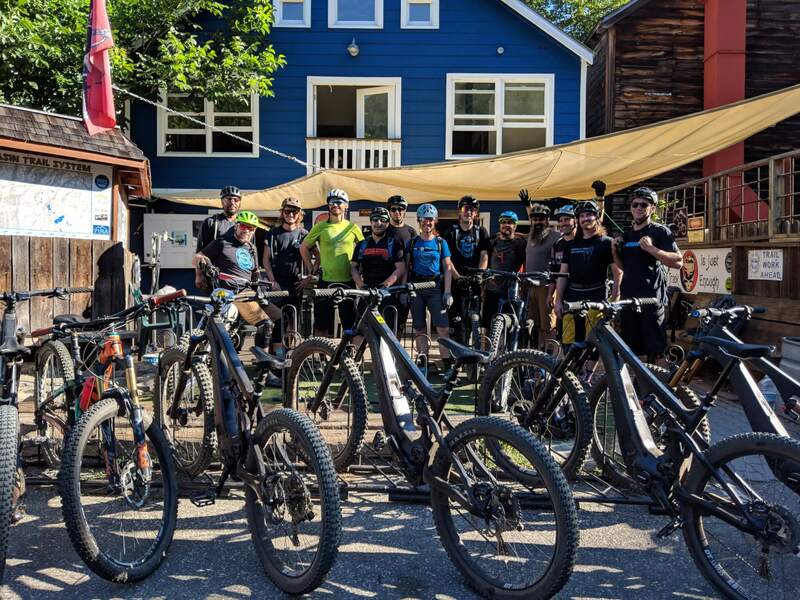 By the end of our two days on ebikes, we all realized that these new contraptions are a game-changer for the Lost Sierra. 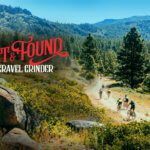 A capable electric mountain bike like the Pivot Shuttle on the Shimano E8000 system is the ultimate adventure and exploration device for most people, getting them out to seldom ridden trails that need more visitors. 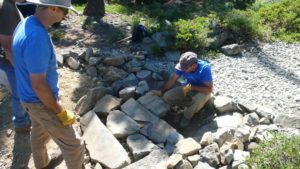 It’s also an ideal tool for our trail crew when they need to access remote trails that don’t allow dirt bikes. The only limitation at this point is battery life, which will surely improve a lot in the next five years. 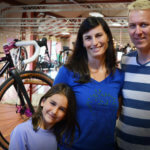 Prior to this event I didn’t really see a reason for having an ebike; my mountain bike and dirt bike seemed to be all I needed. But after that all-time ride on our second day, I can’t get the ebike out of my head. 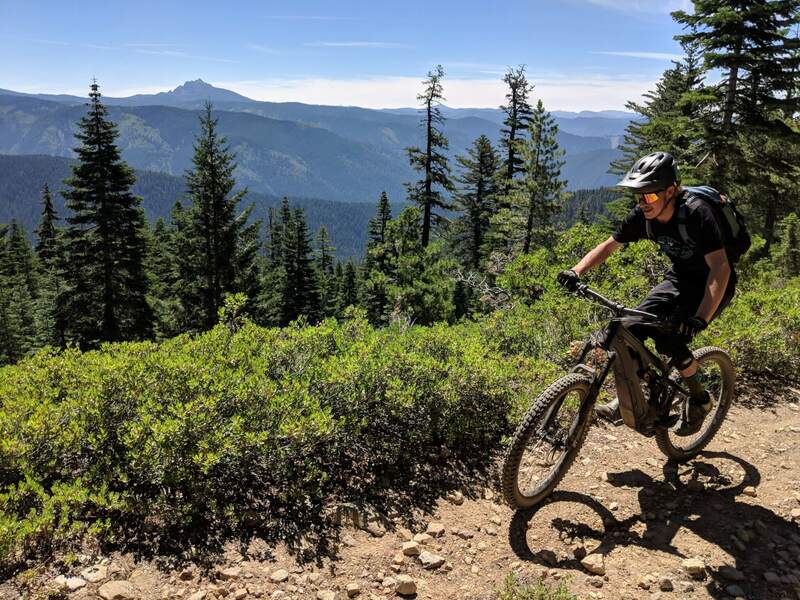 Some mountain bike purists might say riding ebikes is cheating, but helping the public better explore and appreciate our public lands in a low-impact and responsible way is anything but cheating. 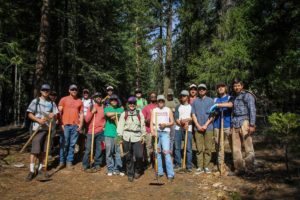 And considering we have the trails and terrain perfect for ebikes, the Stewardship is already developing a plan to promote and use ebikes in the Lost Sierra.